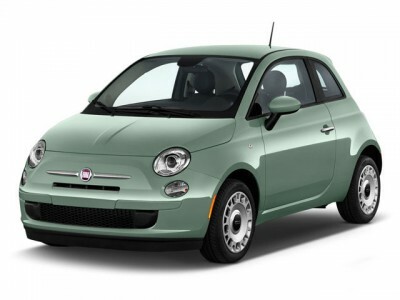 I can think of about three vehicles that might give the new entry level Fiat 500 Pop a run for cutest car. Volkswagen’s Beetle, the Mini One and Suzuki’s Splash also have some endearing looks, but I think you’ll agree that the Fiat 500 Pop has a little more charm. Fiat’s new 500 Pop is the base model, however none of the car’s perky looks and delightful character is lacking when compared with the other more upmarket or racier Fiat 500 versions. For the price, why would you want any other cute city car? Yes, the Fiat 500 Pop is basic; it was designed that way. However, it is a great way to buy yourself into a neat little hatch that captures onlooker’s attention, runs on the smell of an oily rag and is fun to drive. When you buy a standard Fiat 500 Pop, you won’t get alloys, air-conditioning or stability control. But, you can add these features when you buy the car for considerably less money than buying the next model up in Lounge trim. Even in standard form, the Fiat 500 Pop will be popular and desirable. In standard form there are still some impressive features that are worth a mention. The Fiat 500 Pop comes standard with: halogen headlamps, a leather wrapped steering wheel, Dualdrive steering which alters steering effort for enhanced manoeuvrability, a storage compartment under the passenger seat, electric front windows, manual air conditioning with a pollen filter, Bluetooth communications, USB and AUX connectivity, a six-speaker audio system, dual advanced driver and passenger front and seat mounted airbags, a head side airbag and a driver’s knee airbag. 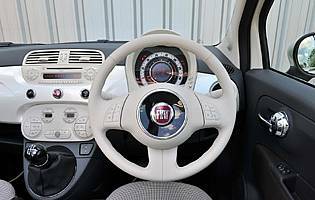 These are excellent features considering the exceptional price of a new Fiat 500 Pop. If you want to really make your Fiat 500 Pop completely unique, then there is plenty you can do to make it unlike any other. You can even order different roof colours and paint schemes, sticker kits, decals and graphics. What a way to make a stylish city-car statement! Out on the road, the Fiat 500 Pop loves the city streets. It is so easy to drive, park and pick up your groceries in. Designed with city streets in mind, the Fiat 500 Pop rides the bumps very well. Take it out onto the highway, and faster cornering reveals some rolliness, but there is still enough grip to drive swiftly. The 1.2 Fiat 500 Pop has enough performance to keep most city drivers happy, with 51 kW of power available from the special FIRE engine. The engine is linked to a five-speed manual gearbox. The entry-level 1.2 petrol isn’t super-fast, but it’ll be perky enough for most Fiat 500 buyers. There is a 0.9-litre Twinair (turbocharged two-cylinder) engine that is also lively to drive. Space in the Fiat 500 Pop cabin is good, considering the car’s tiny proportions. Front seat space is very good, and a couple of adults in the rear should still stretch out happily enough after a short journey. One of the disappointments of the Fiat 500 Pop was the lack of split-folding rear seats. As a rival for the small Volkswagen Up, Toyota Yaris, Suzuki Splash and Ford Fiesta, the Fiat 500 Pop is a snappy alternative which many will enjoy owning. If you like wind-in-the-hair motoring, then there is also a Cabriolet model, too – known as the Fiat 500 C Pop. For any more information on the Fiat 500 Pop, or for that matter any other new car, contact one of our friendly consultants on 1300 303 181. If you’d like some fleet discount pricing (yes even for private buyers! ), we can submit vehicle quote requests out to our national network of Fiat dealers and come back with pricing within 24 hours. Private Fleet – car buying made easy!